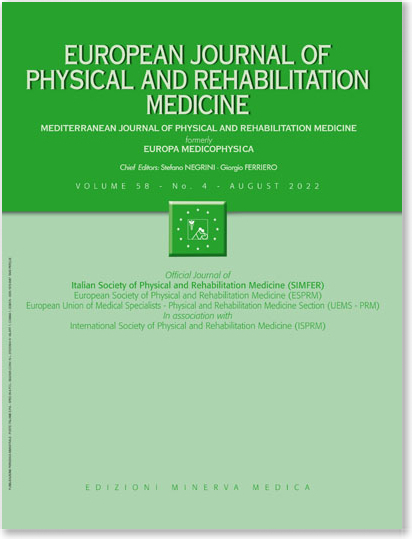 BACKGROUND: Traditional rehabilitation improves pain and function in patients with shoulder impingement syndrome. Neurocognitive rehabilitation has shown to be highly effective after surgical reconstruction of the anterior cruciate ligament. However, its effects in patients with shoulder impingement syndrome have not yet been established. AIM: The aim of the study was to compare the effects of neurocognitive therapeutic exercise, based on proprioception and neuromuscular control, on pain and function in comparison to traditional therapeutic exercise in patients with shoulder impingement syndrome. DESIGN: Single-blind randomized, non-inferiority clinical trial. SETTING: Outpatient clinic of Geriatrics and Physiatrics, University Hospital. POPULATION: Forty-eight patients with shoulder impingement syndrome (Neer stage I) and pain lasting for at least three months. METHODS: Participants were randomly allocated (1:1) to either neurocognitive therapeutic exercise or traditional therapeutic exercise. Both treatments were provided one-hour session, three times a week for five weeks. The primary outcome measure was the short form of the Disability of the Arm, Shoulder and Hand Questionnaire (Quick-DASH questionnaire) for the assessment of physical ability and symptoms of the upper extremity. Secondary outcome measures: Constant-Murley shoulder outcome score for the determination of range of motion, pain and strength; American Shoulder and Elbow Surgeons Society standardized shoulder assessment form for the evaluation of physical ability in daily-living tasks; a visual analogue scale for pain assessment at rest and during movements; Likert score for the estimation of participant satisfaction. Endpoints: before treatment, end of treatment, 12 and 24 weeks after the completion of each intervention for all outcome measures, except for the Likert score that was evaluated only at the end of treatment. Follow-up: 24 weeks. RESULTS: At the end of treatment and at follow-up, both treatment groups experienced improvements in all outcomes measures relative to baseline values, except for the visual analogue scale at rest that was unaffected by traditional therapeutic exercise. For all outcome measures, changes over time were greater in the neurocognitive therapeutic exercise group relative to the traditional therapeutic exercise group. The level of satisfaction with treatment was higher for participants in the neurocognitive therapeutic exercise group. CONCLUSION: Neurocognitive rehabilitation is effective in reducing pain and improving function in patients with shoulder impingement syndrome, with benefits maintained for at least 24 weeks. CLINICAL REHABILITATION IMPACT: skills and function of the shoulder can greatly benefit from neurocognitive rehabilitation.